Are you looking for a little something extra in your smoothie? You may not have thought about using cinnamon to add some spice to banana or peanut butter smoothies. These drinks are delicious, but the flavor can be lacking in an element that brings some heat. Cinnamon adds that burst of spice that brightens the whole drink. This recipe, which requires a blender, makes one medium (about 12-ounces) or two small (about 6-ounce) smoothies. One pro tip for banana smoothies is to freeze the banana chunks in advance. Your smoothie will be frostier if you use this technique. You can allow the bananas to get very ripe, so the flavors and sugar are fully developed before you freeze them. 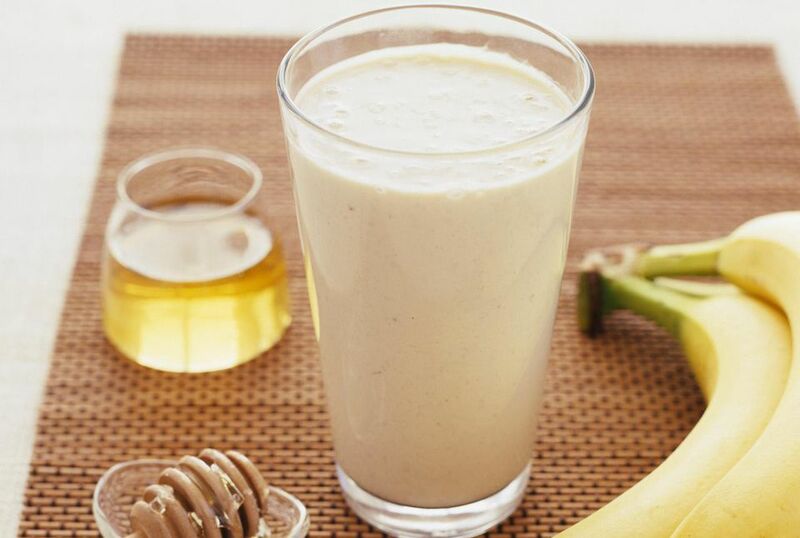 Now you're ready for maximum banana flavor and natural sweetness for your smoothies any time you want to make them. Frozen bananas will keep for three to four months. Natural peanut butter or other kinds of natural nut butter work better for smoothies than the typical supermarket peanut butter. They have a less solid consistency and will mix better. Check at your supermarket in the bulk foods section to see if they have the option of grinding your own fresh nut butter. This way you'll know it's only nuts, without additives and preservatives. If you are sensitive to peanuts, try using other nut butters such as almond butter or cashew butter. Pour into a glass, sprinkle with additional cinnamon.